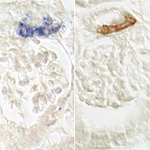 Bright-field microscopy is the simplest of all the optical microscopy illumination techniques. Sample illumination is transmitted (i.e., illuminated from below and observed from above) white light and contrast in the sample is caused by absorbance of some of the transmitted light in dense areas of the sample. 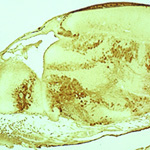 Bright-field microscopy is the simplest of a range of techniques used for illumination of samples in light microscopes and its simplicity makes it a popular technique. 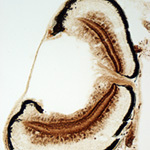 The typical appearance of a bright-field microscopy image is a dark sample on a bright background, hence the name.